This set is so much fun to work with. The way the die cuts a thin outline allows for so many opportunities to mix and match pieces and create different designs. I also adore how the shape of the hexagon can be transformed into a really masculine design very easily or a very feminine design as well. 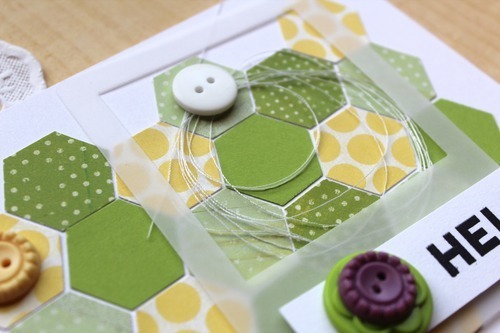 My first card is created by repeatedly stamping flowers on my card base and then layering the thin Hexagon frame on top. I kept the colors light and neutral for an airy feel. 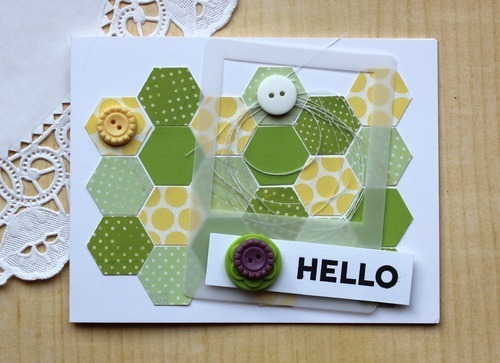 My second card used Polka Dot Basics on Aqua Mist cardstock to create a pattern paper effect for the top of the Hexagon. 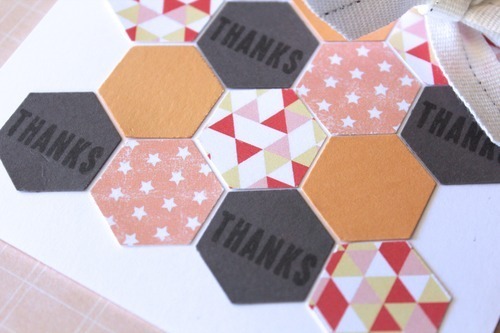 I stamped the inside of the Hexagon in Soft Stone for a subtle texture and accented the entire card with a bit of grey paint splatters.